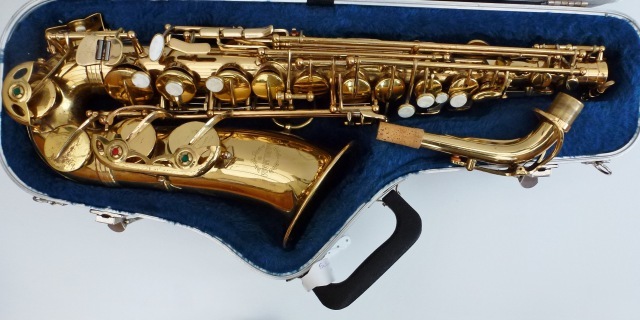 Serial No 99367 Earlham Alto Saxophone. Lacquered finish is a bit blemished in places here and there, as one may expect from a second hand instrument. There are also a couple of pings and dings here and there but quite small ones and do not affect the playing in anyway. However, it has been through the workshop and is in good working order. The Earlham is nice easy blower and is an ideal instrument for the student. comes with a shaped hard case, mouthpiece ligature & cap.